The Mercury Internet School of Psychological Astrology (MISPA) is devoted to teaching psychological astrology. The aim of MISPA is to provide a high standard of tuition in psychological astrology so that the astrological chart can be sensitively interpreted using modern psychological thought. Our tutors have worked as practicing astrologers, teachers and consultants for many years. Many of the tutors were trained or worked for many years with the Centre for Psychological Astrology (CPA) under Director Liz Greene. Since the CPA decided it no longer wanted to offer any assessment, grade system, or qualification John Green set up MISPA to provide an astrological education to Diploma level for those who do wish to pursue a qualification and to teach psychological astrology to students all over the world. We are very happy to have Liz Greene’s continued support in this school and what we do. You can read Liz Greene's introduction to the school here. MISPA offers online classes, webinars and courses deigned to allow students to discover the power of astrology in their lives and use it as a tool for understanding themselves and their clients better. We hope you will join us either as a student with a view to becoming a professional astrologer or just to further your knowledge in the wonderfully involving world of psychological astrology. This chart shows the launch of MISPA. Chart data: 13 April 2015, 13.30 BST, London, UK. 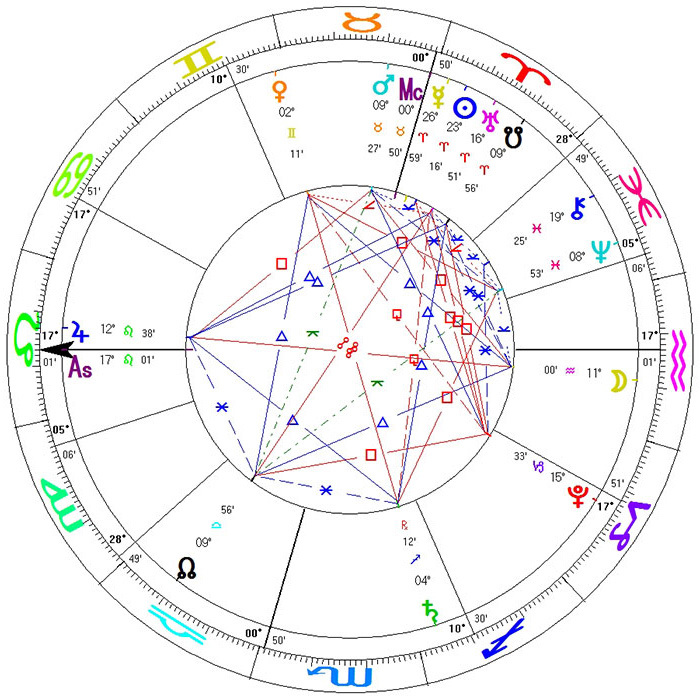 The Mercury Internet School of Psychological Astrology (MISPA) is an organisation in the process of developing its history. It was founded in 2015 by John Green with friends and colleagues from the CPA in order to develop a new and exciting Diploma course in psychological astrology. John had run very successful online Foundation and Intermediate Courses for Liz Greene at the CPA since 2010 and wanted to make available a worldwide Diploma course in psychological astrology. He is very grateful for the support of Liz Greene in starting this venture and he and the tutors hope you will join us in writing the history of this exciting venture. The MISPA Diploma Course is a recognised course of the Association of Professional Astrologers International (APAI) and Diploma holders are eligible to become members of the association. (e) To refrain from offering any medical, psychological, legal or financial advice to a client on astrological grounds unless the appropriate skills or qualifications have been obtained. (f) To refrain from making public comments or predictions on the personal or emotional life of public figures or on the state of their health. Any comments on public figures should be concerned solely with the role for which they are known, and should not be made in a manner likely to bring astrology or MISPA into disrepute. (g) To maintain the highest standards in all dealings with clients, and to refrain from behaviour likely to bring astrology or MISPA into disrepute.